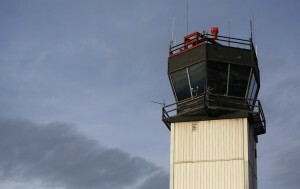 "After the list was released on March 22, airports in Washington, Indiana and Florida filed a lawsuit to block the closures, contending that the FAA had not done proper studies before deciding to shut down the towers, which are run by FAA contractors," Lori Aratani reports for The Washington Post. "More than 1,000 contract air traffic controllers were expected to lose their jobs as a result of the closures." The governor of Kentucky has allowed to become law a bill to allow limited farming of industrial hemp if the federal government grants the state a waiver. The idea had been considered dead, because of law-enforcement opposition, but was revived in an eleventh-hour compromise at the end of the legislative session. Democratic Gov. Steve Beshear could have issued a veto without fear of a legislative override, but said he allowed the bill to become law without his signature because in the event of a federal waiver, "We will have time to work with the legislature and law enforcement to make any further changes necessary to ensure the public’s safety and alleviate those concerns." Left unanswered was whether Beshear would join the bill's chief advocate, Republican Agriculture Commssioner James Comer, and the state's two Republican U.S. senators in seeking a waiver. The state's only Democratic congressman also supports the idea. UPDATE: Courier-Journal reporter Mike Wynn said on KET's "Comment on Kentucky" that it is probably safe to assume that if Beshear wouldn't sign the bill, he won't sign a waiver request. A district attorney in Texas is considering wearing a firearm to court, and allowing her two assistants to do the same, in the wake of a recent shooting in the state that left three people dead, including a district attorney and a prosecutor, Ben Tinsley reports for the Daily Progress in Jacksonville, a town of 15,000 people in the eastern part of the state near the Louisiana border. Jacksonville, in Cherokee County, is about 80 miles from Kaufman County, where the murders took place. Medicaid has helped provide care to low-income families, especially children, the elderly and long-term care patients. States have the choice whether or not to expand Medicaid coverage under federal health reform, and while politicians argue about its merits, rural hospitals fear that without it they will suffer dramatically. Jennifer Davidson of KSMU Radio in Springfield, Mo., offers an example of local reporting on the subject, describing how the loss of special Medicaid payments would affect rural Ozarks hospitals in Southern Missouri if the state does not expand the program. Ozarks Medical Center, left, in West Plains, near the Arkansas border, "serves over 150,000 people in one of the poorest congressional districts in the nation," she reports. One in five patients is covered by Medicaid. Missouri and Arkansas plan to expand Medicaid, but nearby Oklahoma does not and Kansas is undecided. The Patient Protection and Affordable Care Act included a 75 percent reduction in Disproportionate Share Hospitals payments under Medicaid, which have been made to hospitals that are dependent on the program. The theory is that adding more people to the system will bring hospitals more revenue. "Since the early 1980s, a patchwork of broadcast transmitters across Alaska have captured a mish-mash satellite feed in order to deliver free, over-the-air television into the homes of the state's smallest communities," Burke writes. The programming reaches 110,000 people in 230 small or isolated communities, and is considered a crucial service that connects people to the "blitz of information most urban residents take for granted – sitcoms, politics, local and national news, government, sports, weather, emergency announcements." The Federal Communications Commission has mandated that low-power television stations upgrade to digital by Sept. 1, 2015, Davidson reports. Without a $5.3 million investment by the Alaska Legislature, free television in the state will be eliminated. Alaska Gov. Sean Parnell has requested funding for digital conversion and "broadcasters and the Alaska Federation of Natives have lobbied in favor of keeping the system alive, arguing it's a crucial lifeline for communities that would otherwise have few, if any, alternatives." Circuit Judge Michael Thornsbury swears in Crum. The widow of a slain West Virginia sheriff will serve out the rest of his term, after being sworn in as interim sheriff Thursday following a unanimous vote by a commission that said Rosie Crum was the best person to continue her husband's quest to rid Mingo County of its drug problem, Rachel Baldwin writes for the Williamson Daily News. We reported Wednesday that Eugene Crum, who was elected in January on a promise to clean up the county's drug problem, was killed that day while eating lunch in his car. Tennis Melvin Maynard was arrested for the crime. UPDATE, April 6: The local prosecutor says there is no evidence that the shooting "was in retaliation for [Gene Crum's] stance against prescription pill abuse," despite "rampant speculation and conjecture," Travis Crum of The Charleston Gazette reports. The shooter's father said the son "was mentally disturbed and had no particular vendetta with law enforcement," Crum writes. UPDATE, April 12: The local prosecutor said Maynard should have been barred from owning a gun, but got his hands on a weapon after his background check was delayed by "kinks in the chain," Matthew DeLuca reports for NBC News. Death rates are rising at rural critical-access hospitals for Medicare patients who have heart attacks, heart failure and pneumonia, according to a study published in the Journal of the American Medical Association. Hospitals designated as critical-access get slightly higher Medicare and Medicaid reimbursements in exchange for limiting their size, procedures and patient stays. In 2002, they had a death rate of 12.8 percent for such ailments, under the 13 percent rate at other hospitals. But from 2002 to 2010, mortality rates at critical-access hospitals increased 0.1 percent each year, to 13.3 percent, while the rates at other hospitals fell 0.2 percent each year, to 11.4 percent. There are 1,331 hospitals in the critical access program, Jordan Rau reports for USA Today. "Congress started the critical access program in 1997 to stave off hospital closures in places where patients had no good alternative because the next hospital was at least 35 miles away by regular roads or 15 miles by secondary roads. To qualify hospitals need 25 or fewer beds." The authors of the study "suggested that the hospitals' care may suffer because they don't have the latest sophisticated technology or specialists to treat the increasingly elderly and frail rural populations," Rau reports. "Since hospitals are not required to submit performance evaluations to Medicare, the government may not realize that facilities could need additional assistance in caring for sicker patients." Brock Slabach of the National Rural Health Association told Rau that the statistics don't always tell the complete story and that "The association's own research has found that rural hospitals do better in patient satisfaction surveys than do urban hospitals," Rau writes. A travel magazine takes a look at how small-town public squares offer a unique, rewarding experience to guide people through the wonders and beauty of the communities. Town squares were built to "be the hearts of their communities, often with stately landmarks like a courthouse and surrounding colorful shops and cafés," April Orcutt writes for Travel + Leisure. House Bill 2624 would "exempt counties from the statewide prohibition on using dogs to hunt cougars and black bears, if county voters approve. It also would allow the use of bait to hunt bears, which voters banned in 1994," Esteve reports. House Bill 3395 "would require the state Department of Fish and Wildlife to design a pilot program that would allow hunters to use dogs to track down and tree cougars. Counties could opt in." Scott Beckstead, Oregon director of the Humane Society of the United States, told Esteve that cougar complaints fell from a high of 1,072 in 1999 to only 287 in 2012, while the number of cougars killed by hunters rose from 157 to 242. Beckstead said the bills "allow the use of dogs and bait for sport. The voters of Oregon have said they don't want that." Timothy Collins, assistant director for research, policy, outreach and sustainability at the Illinois Institute for Rural Affairs at Western Illinois University, writes a story for the Daily Yonder expressing what his feels is the need for struggling rural areas to get back to basics and focus on sustaining the environment in order to get the communities back on track. Some have already figured this out, he writes. Humboldt, Kan., "developed an amphitheater along the Neosho River, installed walking trails, fishing areas and river access, improved the park restrooms, were able to improve water quality and educate citizens on water quality protection and more than doubled its grant match for community improvements," Collins writes. "Larned, Kan., cleaned up the Pawnee River area and installed a dock at Camp Pawnee, making it more accessible for fishing, canoeing, and camping. The initial $5,000 grant project was matched with more than $130,000 in additional grant and gift dollars to transform the campground into a place for families and friends to gather in the great outdoors." Other states have followed suit and are working with rural areas to improve life for residents. In Wisconsin, groups worked with the Menominee Nation to explore how the tribe can "best adapt to changes in the Menominee Forest that are resulting from climate change," Collins writes. In Iowa, groups are working to alleviate concerns about high nitrogen levels caused by agricultural runoff to the Raccoon River. "Sustainable, self-interested community development may be the last resort," Collins writes. "We now must link democracy with building and healing local environments. Healthy and accessible food, green energy, clean water, and affordable housing are more than amenities. They represent essential human and community needs that are being denied in times of widening geographic discrimination. At the same time, they offer opportunities for smaller-scale, more sustainable community development that can help put people to work helping themselves and each other." New, drug-fighting sheriff is murdered as he sits in his car in downtown Williamson, W.Va.
A new West Virginia sheriff, both elected and delivering on promises to clean up Mingo County's drug problem, "was gunned down at midday Wednesday in downtown Williamson," on the Kentucky border, The Charleston Gazette reports. Sheriff Eugene Crum, left, "who took office at the beginning of the year, has led an effort dubbed Zero Tolerance," writes Julia Roberts Goad of the Williamson Daily News. "His crusade to address the drug problem in the county has brought a lot of attention to the sheriff." Shot and arrested after a chase and shootout with a deputy sheriff was Tennis Melvin Maynard, 37, of Delbarton, where Crum had been police chief before serving as a county magistrate. Witnesses said Maynard shot Crum as the sheriff sat in his car. "The scene in Williamson was one that came straight out of a nightmare," writes Rachel Baldwin of the Daily News. "You could hear crying, screaming and shouts of anger as the family, friends and co-workers strived to deal with the loss of one of their finest." "Crum took office in January," the Gazette notes. "He campaigned on ridding the county of drugs, particularly prescription painkillers," and "had been aggressive as a county magistrate in setting up a drug task force with local police departments," which seemed successful. "At least 50 percent and as much as 70 or 80 percent of the nation's farm workers arrived illegally," Werner reports. "Growers say they need a better way to hire labor legally, and advocates say workers can be exploited and need better protections and a way to earn permanent residence." Giev Kashkooli, United Farm Workers vice president, told Werner: "One thing that we know is that there's not an industry that will benefit more from a new immigration program than agriculture. The problem is industry needs people who are both willing and able to do the work. And it's difficult work." Congress is looking at several approaches to illegal immigration, Ashley Parker reports for The New York Times. One is that "young immigrants in the country without legal papers, who often call themselves 'Dreamers,' and low-skilled agricultural workers, would qualify for an expedited road to legal status, people familiar with the negotiations said." Other plans would allow for illegal immigrants to keep permanent residence if they have family or employment that qualifies them for legal status, or if they admit to breaking the law, pay fines and back taxes and learn English. Agri-Pulse, a Washington newsletter, reports that the Agriculture Workforce Coalition, which has been working with several senators, has introduced a plan that includes an "uncapped Agricultural Worker Visa Program." As part of the plan "employees would have the freedom to move from employer to employer without any contractual commitment. They would have a visa term of up to 11 months with U.S. Department of Agriculture registered employers and then return home for 30 days. There would be no limit on the number of times a person could obtain the 11-month visa. Contract employees would commit to work for an employer for a fixed period of time and would have a visa term of up to 12 months (renewable indefinitely), and conditioned upon a commitment to return to their home country for at least 30 days over a 3-year period." Agri-Pulse is subscription-only, but offers a free trial here. The Associated Press announced today that it would no longer sanction the use of "illegal immigrant" to describe someone living in or moving to a country illegally. The action came after years of objections from groups and individuals who said the phrase implied that such immigrants were illegal people. Senior Vice President and Executive Editor Kathleen Carroll wrote in explaining the change, "We had in other areas been ridding the Stylebook of labels. The new section on mental health issues argues for using credibly sourced diagnoses instead of labels. Saying someone was 'diagnosed with schizophrenia' instead of schizophrenic, for example. And that discussion about labeling people, instead of behavior, led us back to 'illegal immigrant' again. We concluded that to be consistent, we needed to change our guidance." The AP Stylebook's revised entry on illegal immigration defines it as "entering or residing in a country in violation of civil or criminal law" and advises, "Except in direct quotes essential to the story, use illegal only to refer to an action, not a person: illegal immigration, but not illegal immigrant. Acceptable variations include living in or entering a country illegally or without legal permission. Except in direct quotations, do not use the terms illegal alien, an illegal, illegals or undocumented. Do not describe people as violating immigration laws without attribution. Specify wherever possible how someone entered the country illegally and from where. Crossed the border? Overstayed a visa? What nationality? People who were brought into the country as children should not be described as having immigrated illegally. For people granted a temporary right to remain in the U.S. under the Deferred Action for Childhood Arrivals program, use temporary resident status, with details on the program lower in the story." "Will the new guidance make it harder for writers? Perhaps just a bit at first," Carroll writes. "But while labels may be more facile, they are not accurate." For more background, history and reaction, compiled by Andrew Beaujon and Taylor Miller Thomas of The Poynter Institute, click here. Rivers will be competing with The Journal-Register, a Community Newspaper Holdings Inc. paper in Medina that was a daily until recently and now prints three times a week, and the Daily News, a Johnson Newspapers publication in Genesee County that covers and circulates in Orleans County and in Wyoming County, to the south. OrleansHub has financial backing from Karen Sawicz, owner of the Lake Country PennySaver. Rivers will be the editor, reporter and photographer, the PennySaver will supply technical, advertising and back-office support, and Sawicz will pay Rivers' salary until online advertising revenue can carry the site on its own. Many rural areas are designated as "food deserts" because they lack easy access to supermarkets. The Healthy Food Access Portal will be hosting a webinar called "New and Innovative Models from the Field: Alternative Retail Strategies" at 1 p.m. EDT April 11. "This webinar will detail successful strategies and highlight important impacts such as reductions in diet-related diseases and the revitalization of communities by providing needed job," a press release says. "Across the country, markets are adopting unique and innovative business strategies to provide healthy food to underserved communities," the release says. "The range and diversity of these alternative models run the gamut from farmers’ markets that incorporate community health clinics to large urban farms serving grocery stores and institutional clients." Register here. Population continues to decline in rural areas across the country. Last month we reported new census estimates that deaths are exceeding births in 36 percent of rural counties (1,135 of 3,143). We then noted local reports on the trend in Nebraska, Oregon and Idaho. Now, Gary Rotstein of the Pittsburgh Post-Gazette writes about the phenomenon in southwest Pennsylvania and parts of Ohio and West Virginia. The "areas tend to be older, to attract few immigrants, to have low birth rates and to lose many of their young people to (Pittsburgh or Morgantown) or other places where they sense greater economic opportunities than in their hometowns. In most of those rural areas, more people die than are born each year," Rotstein reports. UPDATE, April 4: Carbon-monoxide poisoning was confirmed. 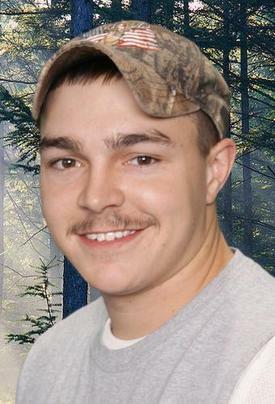 The truck was found "partially submerged in deep mud," the Kanawha County Sheriff's Department said. "The truck's muffler was completely below the surface of the mud," Taylor reports. "That might seem to indicate the men were overcome by carbon monoxide poisoning, but a cause of death was not released. Humphreys said the bodies would be taken to the state medical examiner's office." The Berry Conference will ask: What will it take to resettle an under-populated rural America? Novelist, essayist, poet and farmer Wendell Berry has long been active at the intersections of culture, economics and agriculture. Two years ago, he and his daughter Mary founded The Berry Center to address issues of land use, agriculture and food, and this weekend the center will hold its first conference in his honor. Writers, environmentalists, farmers and others have already spoken for all the available seats, but Bill Moyers is covering it (and so will The Rural Blog). “We wanted to get some great people together to talk about what it’s going to take to resettle an under-populated rural America,” Mary Berry, the center’s executive director, told Erica Peterson of WFPL Radio in Louisville. The two-day event will focus partly on the work of Wes Jackson, the director of The Land Institute in Kansas. "Jackson says America has a deficit of people in rural areas who will grow food and resettle communities," Peterson writes. "He says colleges should offer students more skills that will let them return to their rural homes and improve the communities, rather than setting graduates on paths that take them, and their talents, out of rural America forever." Recent college graduates are finding success in moving to small, rural counties in Kansas to take advantage of an incentive program called Rural Opportunity Zones, which offers $15,000 in loan debt repayment, and in some cases waives income tax for up to five years, Jen Cornreich Geller reports for The Street, an online financial news publication. Jobs, which are more elusive in other parts of the country, are not a problem in one of the 50 rural counties in the program, Geller writes. According to Chris Harris, program manager with the Kansas Department of Commerce, 98 percent of the 420 people in the program have secured employment. Only 10 percent of the jobs are in farming. "We need skilled labor in these areas," Harris said. "The population is aging. We need doctors, lawyers, teachers and people to take over small businesses as the older generations retire here. It's an aging and shrinking population and we need educated people to do these jobs." The Postal Regulatory Commission, which oversees the U.S. Postal Service, is seeking proposals "to create a report on the impact of discontinuing Saturday delivery service," Larry Frum of Federal News Radio reports. "Lawmakers from rural districts have been resistant to any delivery changes for their constituents." Patriot Coal wants a federal bankruptcy judge to void the terms of its UMWA contract. Marks notes, "The company filed for bankruptcy, and company officials have said reducing health-care benefits for employees is a key part of reorganizing the company's finances." "State and federal lawmakers are working on legislation to force Patriot to pay and live up to the contracts it had with its retirees," WSAZ-TV in Huntington reports. "Patriot said in a statement it is not proposing to eliminate healthcare. The company says its proposal allows for continued coverage of union retirees at a level Patriot can afford." Last week we reported that the West Virginia House was asking Patriot Coal to honor promises to retired miners. A small Nebraska county 35 miles from Omaha has been struggling for years with a simple but common dilemma – trying to find a way to post signs in rural areas to guide emergency personnel to specific addresses. Dodge County, population 37,000, has spent 15 years debating the issue, but still, there are no visible signs among nearly 6,000 rural homes. An editorial in the Tribune opines, "It seems like a simple concept. So simple, in fact, that it makes you wonder why it hasn’t been done yet. But after more than 15 years of on-again, off-again debate, rural Dodge County residents still aren’t required to have one of the most basic safety features for their homes – address signs. This much is certain: It’s time to require address signs throughout the county. Neighboring counties figured out a solution years ago. It’s time our supervisors do the same thing." Horse slaughter and processing plants could soon be operating again in the U.S. Elizabeth Campbell reports for Bloomberg News that the U.S. Department of Agriculture says several companies have asked that the agency re-establish inspections, which Congress defunded for a few years. The meat could only be sold outside the U.S.
Valley Meat of Roswell, N.M., filed a lawsuit against the USDA in October, alleging it was violating the Federal Meat Inspection Act by failing to offer inspection of horse slaughter, Valley Meat lawyer A. Blair Dunn told Campbell, who reports, "This week, the Justice Department asked for another 60 days to respond to the lawsuit so the USDA can make sure all the components are in compliance in order to issue a grant of inspection." We noted last week that Oklahoma had passed a bill that would allow horse slaughterhouses in the state, ending a 50-year ban. Gov. Mary Fallin signed the bill Friday. Cynthia Armstrong, the state director of the Oklahoma Humane Society, said, "It's a very sad day for Oklahoma and the welfare of the horses that will be exposed to a facility like this." Tim Talley writes for the Huffington Post, "Although there are no horse slaughtering facilities in Oklahoma, the Humane Society said the USDA has received an application for horse slaughter inspection permits from a meat company in Washington, Okla., about 40 miles south of Oklahoma City." To mark the upcoming third anniversary of the explosion that killed 29 miners at the Upper Big Branch mine in Montcoal, W.Va., the Charleston Gazette ran an opinion piece saying not much has changed to secure the safety of miners. The piece was written by J. Davitt McAteer, former assistant secretary for The U.S. Department of Labor Mine Safety and Health Administration and vice president of Wheeling Jesuit University, and Beth Spence, a coalfield specialist for the American Friends Service Committee's West Virginia Economic Justice Project. "Those 29 men were killed because officials of a rogue coal company disregarded worker safety in the drive to produce coal. But that's not the entire story," the writers opine. "The miners also died because regulators, both from the federal Mine Safety and Health Administration and the West Virginia Office of Miners' Health, Safety and Training, abdicated their responsibility of making sure the operator complied with minimum fundamental safety requirements." Safety issues are still not being met, the writers say. "In the first quarter of 2013, eight miners were killed in the nation's mines, five in West Virginia," they write. "This compares with five during the same period of 2012, two in 2011 and two in 2010. Instead of trending downward, deaths are increasing." Nineteen miners died in 2012, 21 in 2011, and 48 in 2010, the year of the Upper Big Branch accident, according to a report from the Department of Labor. The 48 deaths was the highest total since 55 died in 1992. Gazette by John Taylor, left, with his father, Haskell. Sandy Wells writes a compelling story for the Charleston Gazette about a family-owned and operated shoe business that has survived 81 years in the 13,000-population town of South Charleston, W.Va. Opened in 1932, Taylor Brothers Shoe Repair is now run by 64-year-old John Taylor, one of the sons of the original owners. John "labors in a windowless back room on the same equipment used by the family founders. A stitching machine purchased in the 1960s is the newest concession to modern technology," Wells writes. "I watched them repair shoes for years," Taylor said of his family. "I was around 20 when my dad allowed me to work on women's shoes. I had to strip the rubber heels first and set them up. My brother did all the finish work. I was only allowed to strip them and level them. The next thing was putting heels on women's shoes. I did that for years." After being discharged from Vietnam, John said I "wasn't sure what I wanted to be, but it wasn't a shoe repairman," Wells writes. "I did not think I would continue. But out of the military, I came to the shop. They still had me setting up women's heels. It was nothing to handle 60 pairs a day. I did finishing on the other end, dying, inking and buffing to make the shoes look pretty, both men's and women's shoes. This backyard was flooded with oil from the spill. The 2,300-population town of Mayflower, Ark., between Conway and Little Rock, is at the center of an Exxon Mobil oil spill that has flooded the area with 12,000 barrels of oil and caused 22 homes to be evacuated after a pipeline ruptured Friday. The 848-mile pipeline is used to transport Canadian crude oil from Patoka, Ill., to Nederland, Tex., reports the Log Cabin Democrat of Conway. Mayflower resident Joe Bradley, who was ordered to evacuate, told CBS News and The Associated Press, "We could see oil running down the road like a river." Bradley said he was "unaware of the pipeline and only lives four to five homes down from the rupture. He said he is fearful of the effects on his 8-year-old daughter." "As more Republicans give in to President Barack Obama's health-care overhaul, an opposition bloc remains across the South, including from governors who lead some of the nation's poorest and unhealthiest states," Bill Barrow points out for The Associated Press. "From Virginia to Texas — a region encompassing the old Confederacy and Civil War border states — Florida's Rick Scott is the only Republican governor to endorse expansion, and he faces opposition from his GOP colleagues in the legislature," Barrow writes. "Tennessee's Bill Haslam, the Deep South's last governor to take a side, added his name to the opposition on Wednesday." "Many of the citizens who would benefit the most from this live in the reddest of states with the most intense opposition," Drew Altman, president of the Kaiser Family Foundation, told Barrow, who writes: "So why are these states holding out? The short-term calculus seems heavily influenced by politics." With several Republican governors seeking re-election next year or in 2015, "The law remains toxic among Republican primary voters," GOP pollster Whit Ayres told the AP. Ezra Klein of The Washington Post says states that refuse to expand Medicaid will hurt their rural hospitals because the health-reform law will end "disporportionate share" payments now made to hospitals that depend heavily on Medicaid and Medicare, and those hospitals need the extra volume from Medicaid to make it up. "It’s a classic example of cutting off your nose to spite Obama," Klein writes. One border state that has voted Republican in the last four presidential elections could still expand Medicaid. Democratic Gov. Steve Beshear of Kentucky has said he will expand the program if the state can afford it, and is nearing a decision. He may be considering a request to use Medicaid money to help buy private insurance for those who aren't poor enough to qualify for the program, as Arkansas is doing, Molly Burchett of Kentucky Health News reports.